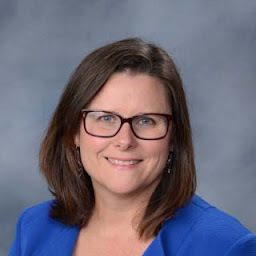 Louise Morgan: iPad Integration That Works! 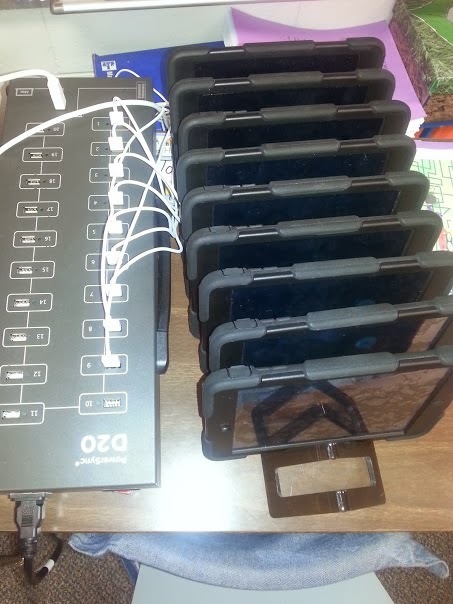 Back in November my class received 10 iPads from our technology department and we were told to "have fun". Our district has gone 1:1 in the secondary schools, but we are only one of two elementary classrooms that recieved iPads. 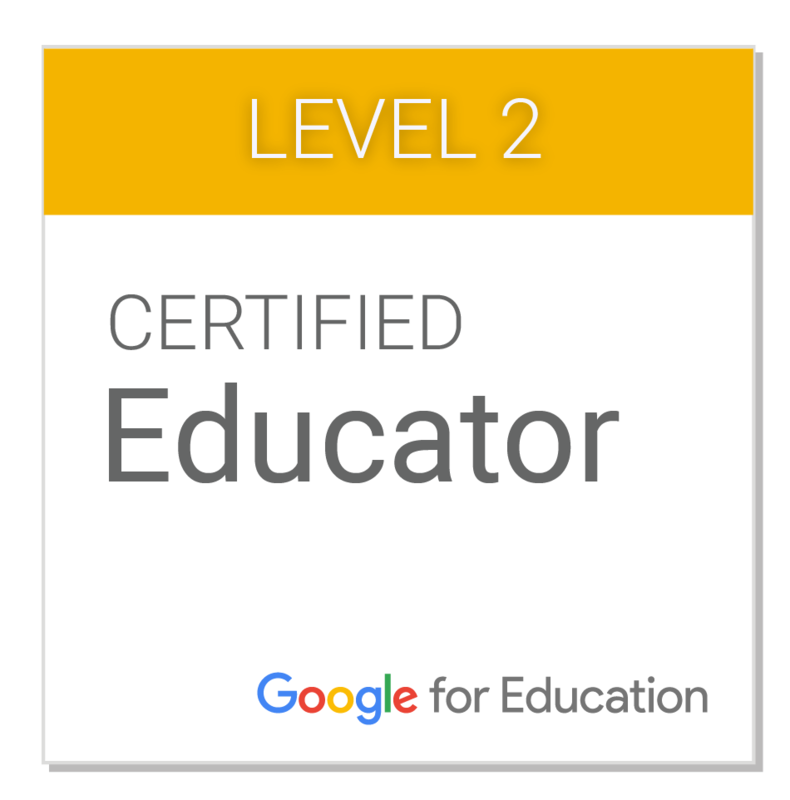 Of course I was thrilled, but then I realized that I would need to spend some time thinking about how to successfully integrate them in to our daily routine and find apps that would fit our curriculum. 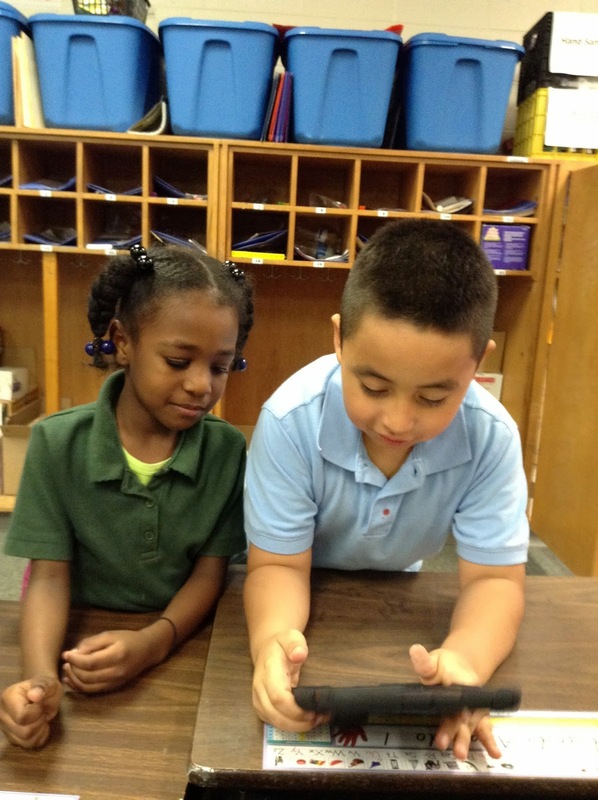 We spent the first few weeks exploring the camera apps, creating blog posts on Kidblog, and using Tellagami. But I knew that I wanted them to be part of our Daily 5 and math rotations, so I spent some time talking to other teachers to learn how they are using iPads and finding the best apps to use. 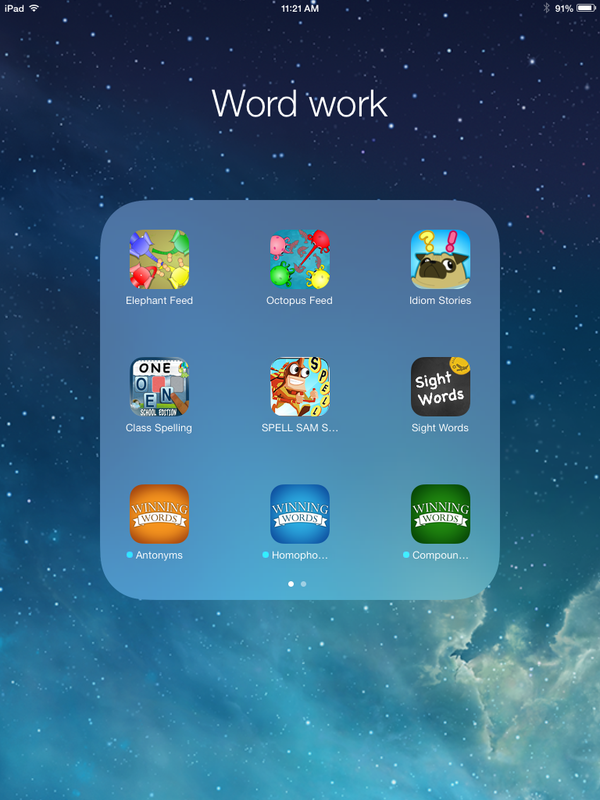 For our Daily 5 rounds, I found apps for Word Work, Work on Writing, and Read to Self. 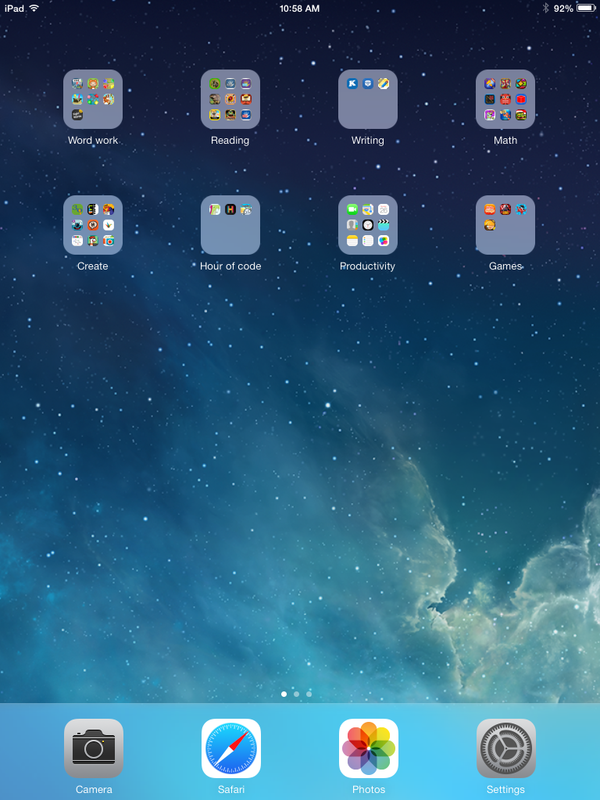 I set up folders on each iPad so when the students are doing a rotation, they know which folder to open. 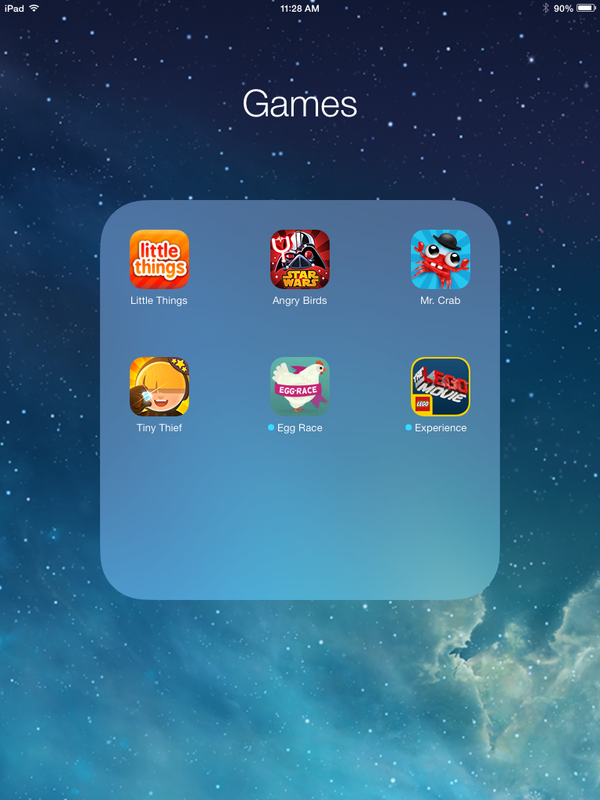 The folders help keep the apps organized. When they have free time they know they can also use the "games" folder, but that one is off limits during our rotations. To manage all of the apps and 10 iPads, I am using a MacBook Air with the Apple Configurator app. This allows me to search apps at the iTunes Store and then load them to the ipads all at once, using what I call "mission control", a charging device where all of the iPads can be plugged in and managed at one time. When new apps are added, I simply slide them into the folders. There is a way to set one iPad the way you want it and then duplicate it on the rest, but I have not ventured that far yet. Generally, the students use "real" books for Read to Self and Read to Someone, but I have created this folder to give them some variety. that goes with the book "The Fantastic Flying Books of Morris Lessmore"
There are lots of great apps for spelling, phonics, and grammar. Elephant Feed and Octopus Feed are 4 player games that focus on homophones and synonyms. Spell Sam Spell is also very popular. Students use a variety of methods for writing including journaling, the writing process, and blogging. 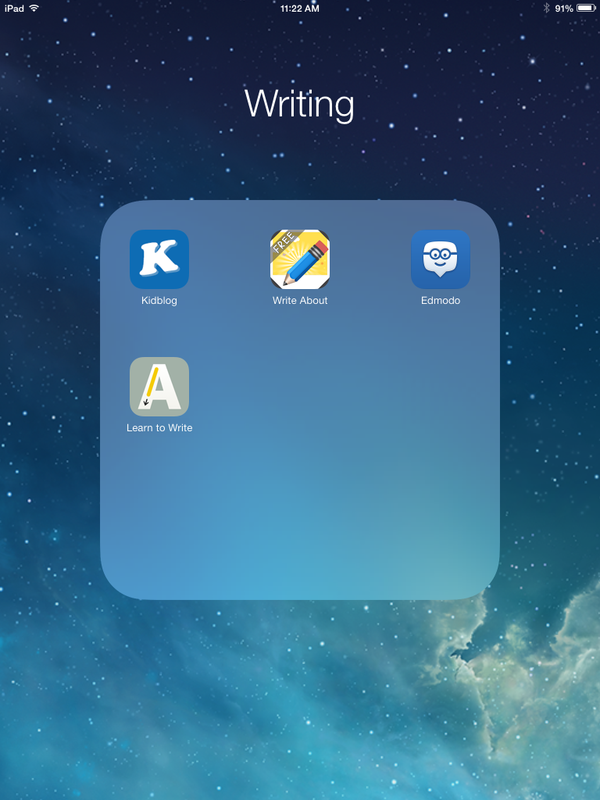 These apps are great for impromptu writing. Students use Kidblog on our desktops and the iPads. Write About This is a fantastic app that gives a picture and a prompt. Students write and record their voice. It works well for a 15-20 minute rotation. I use the FREE version. We do one math center per day - 4 days a week for about 20-30 minutes. We just finished a unit on geometry. There are some fun tangram apps and a geoboard apps. We also used the PBS CyberChase Shape Quest augmented reality app using the printed game board. Math Vs. Zombies and Monster Numbers are also great for fact fluency. One of my goals with iPads is for the the students to create content for their digital portfolios. 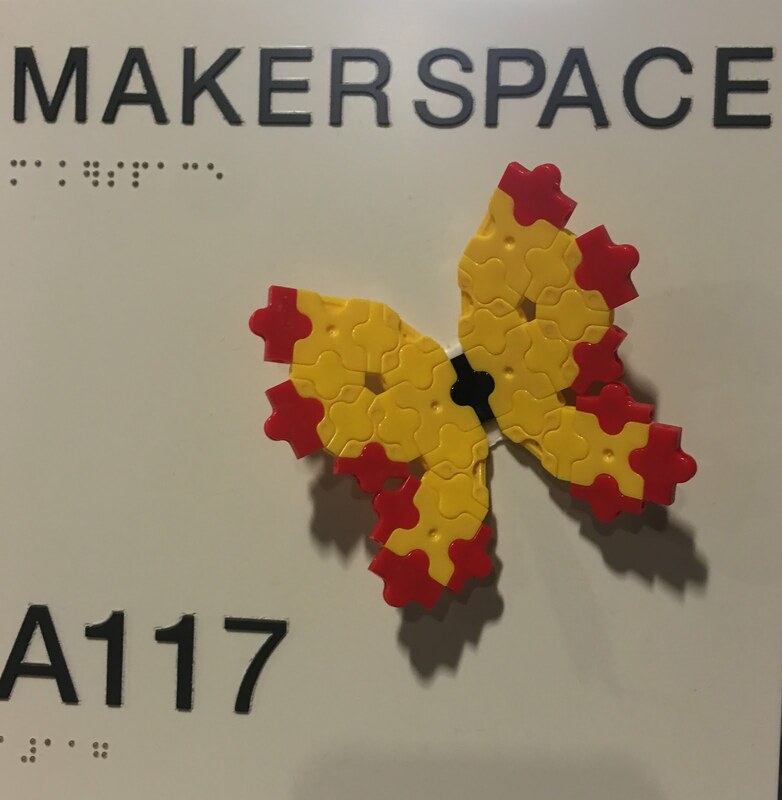 I am still working on the work flow, but there are some really good apps where the students can create and share their learning. 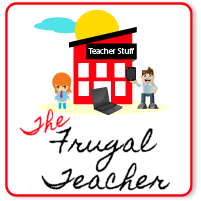 Each student has a Kidblog for their content. Examples can be found HERE. There are many content creation apps that are kid friendly. Generally, when they create something, we save it to the camera roll and then upload it to their blog (with my help). 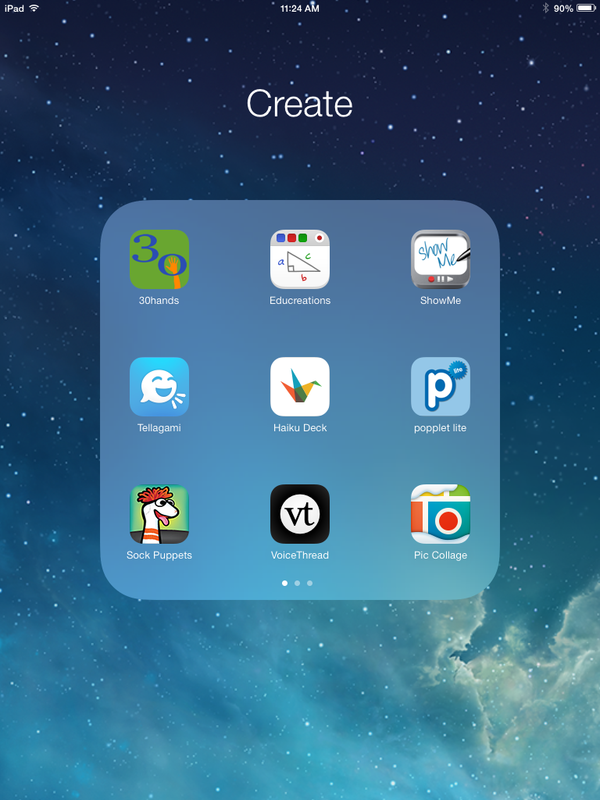 30 Hands, Educreations, Show Me, Tellagami, Sock Puppets, and Haiku Deck allow students to add photos, videos, text, and voice. These apps are used for free time. 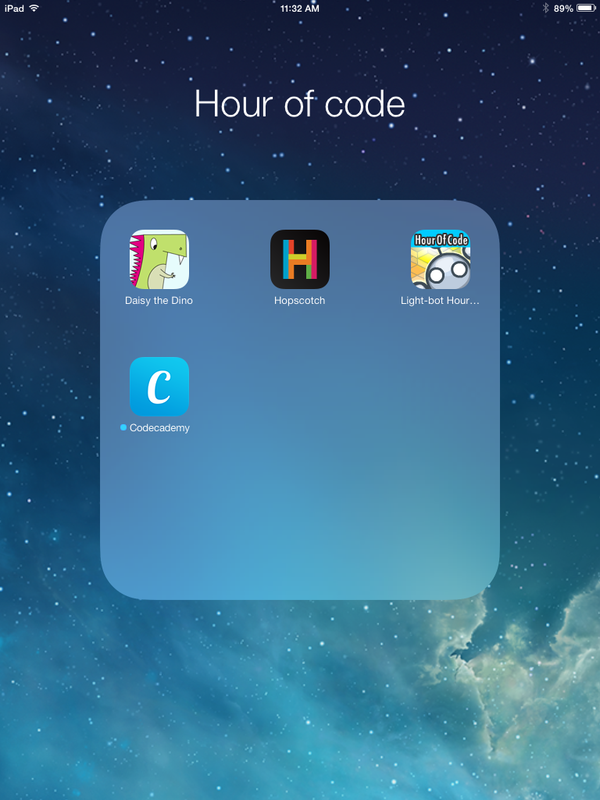 We do hour of code in our computer lab as a whole group, but I added the apps for the students who really enjoy it. Mr Crab and Egg Race are the most popular games. I have only asked to purchase one app - IMAG-N-0-TRON because you have to buy one license per ipad. So the entire purchase was $10.00. There are some apps, such as Write About This, that would be nice to have the full version of, but for now the free version works fine. 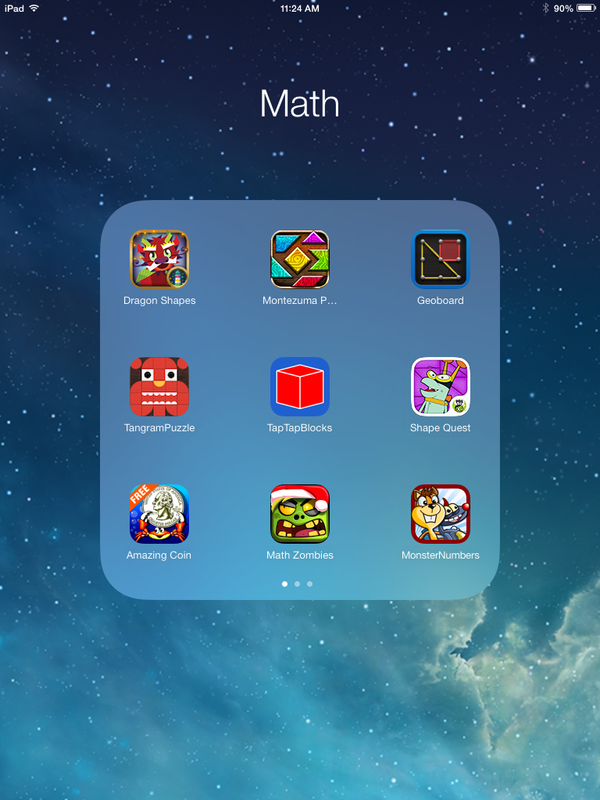 I spend a lot of time reviewing the apps with my kids and showing them how they work. Many of the free apps come with the option to make in-app purchases. They are restricted from doing this, but clicking on the links takes them away from the app. They are learning where to find the little "x" that closes the advertisement. Also, the headphones can be an issue. We keep them wrapped up in a tub by the iPads. If they are using an app that has sound, they can use the headphones. Of course, the cords get tangled and sometimes the kids have trouble getting the jack securely in the iPad. We have a few "experts" in the classroom who are really helpful when tech issues arise. We keep a bottle of hand gel by the iPads to use before picking one up. Every few days, I wipe the screens down with a very soft, damp cloth. Using cleaners is not recommended on the screens or screen protectors. So now that I have my kids fully engaged, you are probably wondering what I am doing. Having the iPads has created some additional work for me, but using them as part of our Daily 5 and math centers has really freed me up so I can meet REGULARLY with my students! The iPads are not a replacement for good teaching - they are a supplement. The instructions were to have fun, but more importantly my students are learning how to use the ipad as a learning tool for creating and communicating. It's not a replacement for a book or something to keep them busy. 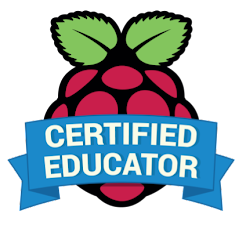 It's a powerful device that turns my classroom into a 21st century learning environment! 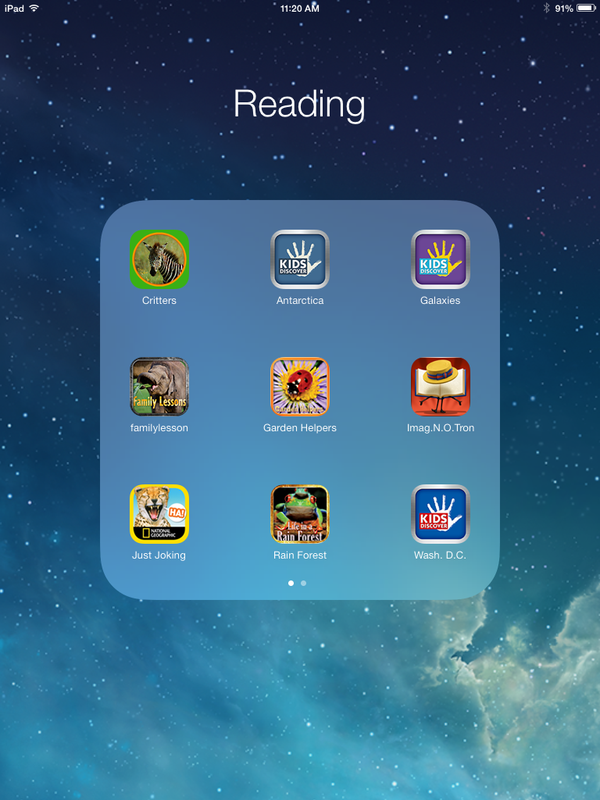 There are many, many resources out there for iPads in the classroom which I found very helpful. But, to make them work in my classroom took time and and consideration. 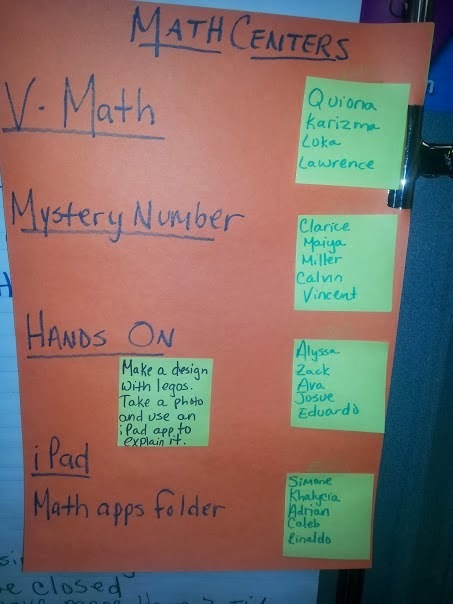 What works for me, may not work for you, but I hope I have at least given you some ideas on how to successfully manage and integrate your iPads in the classroom.